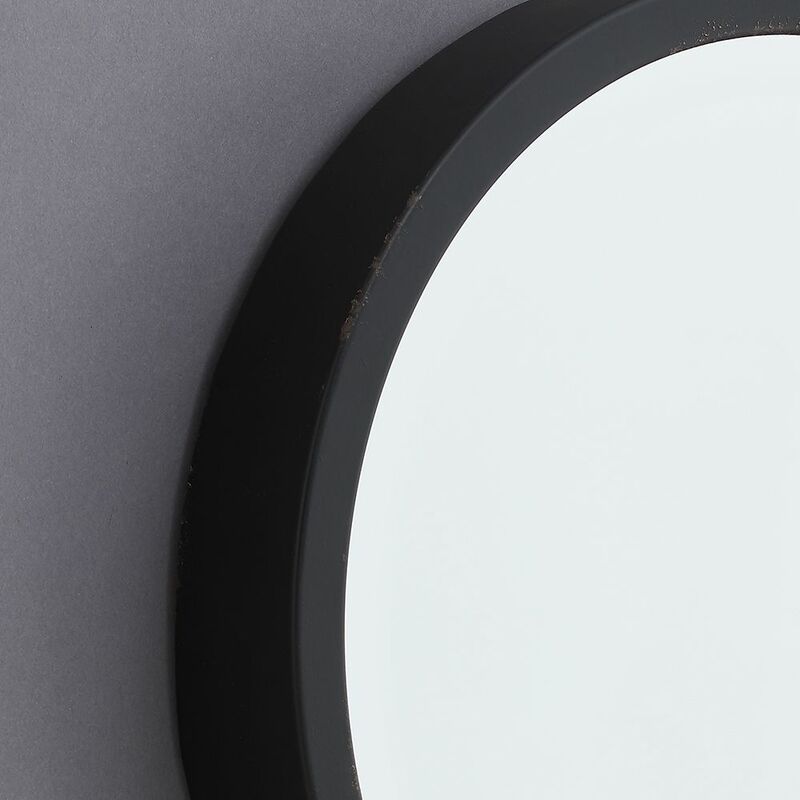 This lovely French mirror has a vintage black metal frame and bevelled glass. 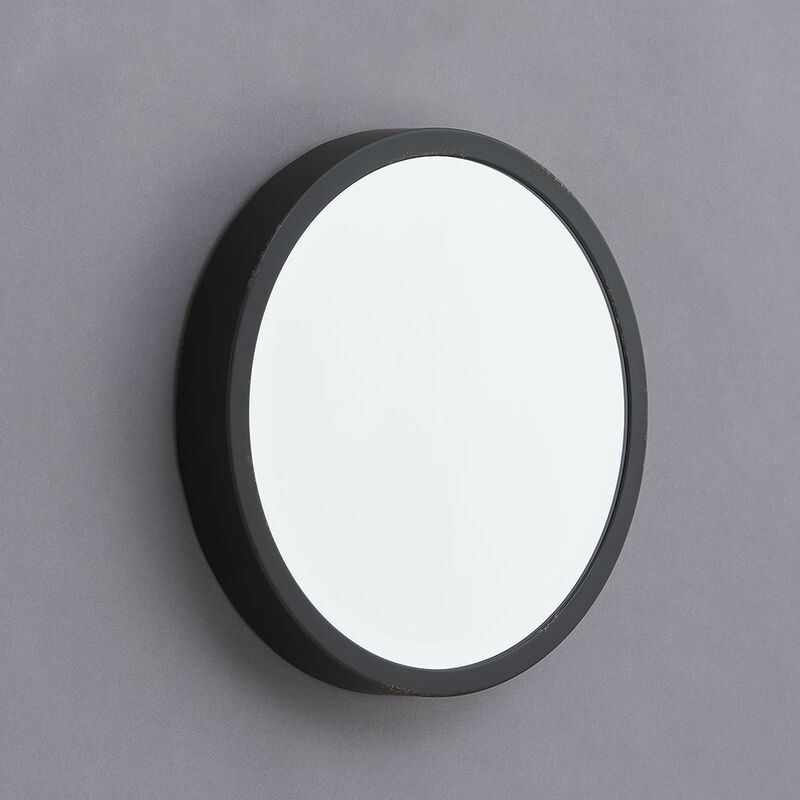 It works really well in bathrooms, bedrooms and hallways etc., either on its own or with a collection of other mirrors. The antique finish on the frames gives them real character and they're a great instant update to a wall space. 30cm dia x 4.5cm depth.